I needed juice from one orange today for a recipe. I went searching for my juicer - I know I have one but was not sure where it was. See I know I have one because it used to belong to my Grandma Graham. I finally found it. 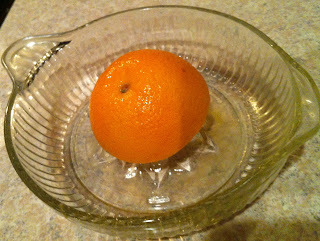 Daniel came and was asking some questions, so I taught him how to juice an orange and then began to tell him the story of where it came from. 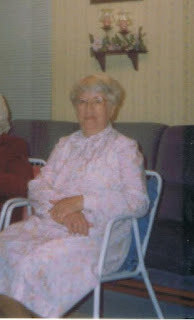 Grandma Graham always loved to cook, garden, sew, and quilt. 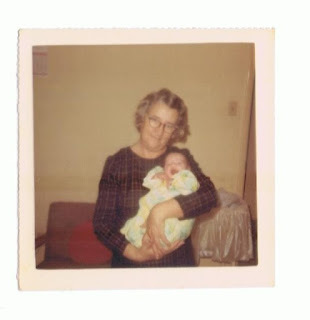 It did not matter what time of year we would visit - there was always banana bread - and there is no recipe that could ever beat the ones she would make. One of my favorite things she would cook was fried okra and she would serve it with sliced tomatoes. My mouth is watering right now thinking about it. For a long time she had a small garden where should would grow her veggies. She froze the ones not eaten, so we could still have okra in the winter. Quilt I received as a wedding gift. Grandma Graham did the topper. Mom had someone finish the backing. 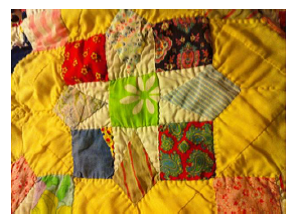 ﻿ I have two of her quilts in my bedroom right now. My favorite is the Parasol girl one. 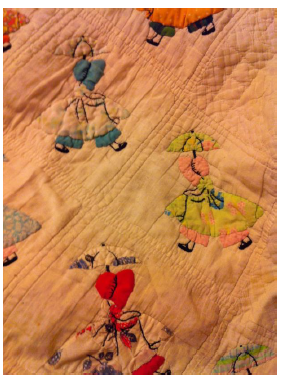 She made that quilt out of my dresses and clothes I wore as a little girl. I am sure some of them were scraps, because she made quite a few of my clothes. 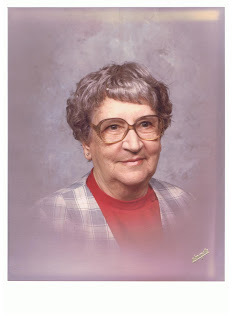 Grandma Graham was a wonderful Christian lady. She used her talents to bless and serve others. 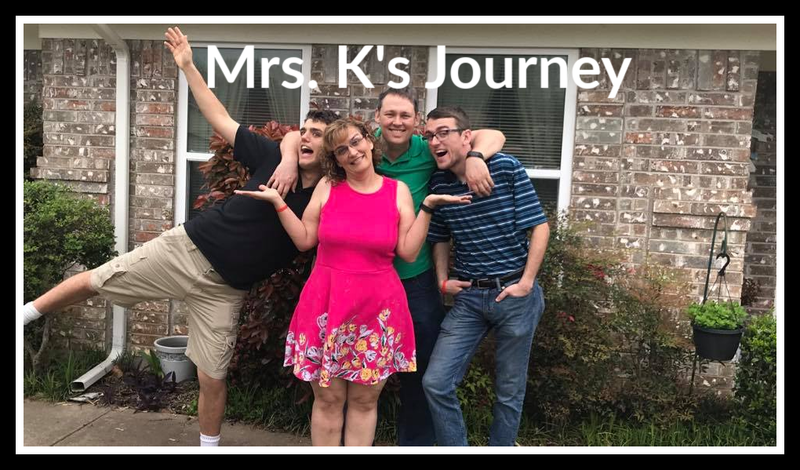 She went to be with her savior, Jesus Christ, in December of 1991. It was an honor to share a little portion of her life with Daniel this morning. Every Thanksgiving and Christmas, I bring a special bowl that was hers. I fill it with muffins or bread for our special celebration. It is kind of like remembering her during that time. Next year, I will remember to share more of Grandma Grahams story.